Brand’s signature motifs are juxtaposed to a range of new graphic patterns to deliver a charming lineup of versatile pieces fitting the dynamic lifestyle of cool city girls. 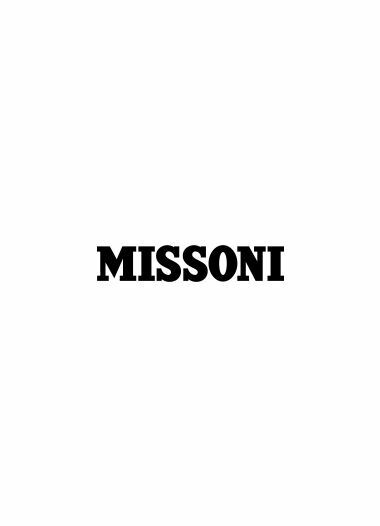 For the resort 2019 season, which marks the return of the M Missoni line in-house, creative director Angela Missoni celebrates that sense of joy, self-expression, freedom and positivity deeply rooted in the timeless disco music. Shiny effects, shimmering fabrics and metallic shades are balanced by the M Missoni exquisite knitted motifs, developed in a vibrant color palette spanning from pop tones of orange and pink to fresh shades of green and turquoise. Geometric chevrons, revamped leopard patterns and irregular stripes find place next to the new disco ball-inspired jacquard graphic motifs and the eye-catching pop art-inspired print featuring an iconic dancing queen. Playing with proportions, tiny tops and cardigans are matched with cheeky hot pants or boyish wide-legged cropped trousers. Shiny leggings are layered under short dresses featuring drawstrings putting the focus on the waist, while hyper comfortable joggers are paired with chic draped blouses and oversized blazers revealing knitted inserts on the back. Impeccable masculine shirts peep out trough jacquard cardigans and sweaters tucked into metallic gold high-waisted pants, as well as a-line skirts. Workwear inspires overalls splashed with an artsy version of a wild animal motif, which also injects a frisky feel into a tunic dress designed for warm summers in the city. Metallic lurex touches introduce some sparkle into the feminine graphic frocks, showing belts and drawstring details highlighting the waistline.